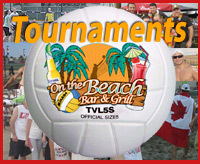 Beach Volleyball season starts Monday April 25th Corporate Outings, Staff Function, Charity Organization, Birthday Party, Reunions, or Organized Sports Team. A small private group or a large gathering we can help you plan and organize your next special event. We have the facilities, the staff and the experience to assist you in makeing your event complete success. Our food and beverage service staff can help you plan the menu for your event or party, we also can help custom-tailor entertainment or tournament packages for you. Whether it’s team-building exercises, impressing corporate clients, or just having fun with a group, we’ve got the facility, the people and the know-how to make your event one they’ll be talking about for years! If you would like to find out more about hosting an event and the details involved please contact us at (519) 735-9558 and we will discuss exactly how we can meet your fundraising needs. 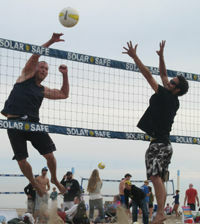 From a fun event to a completive event we've got you covered. We'll show you how to make your event a succes. We've got you covered for all your corporate events, just call us. 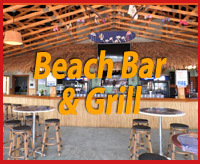 On The Beach is the best place to host your next party.